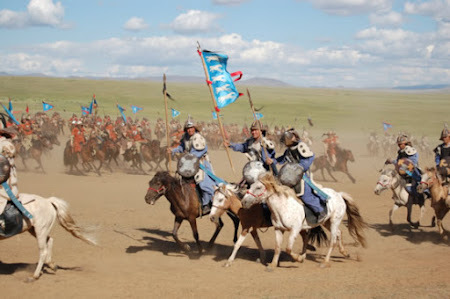 It’s of a Mongolian cavalry demonstration in honour of the 800th anniversary of Genghis Khan. Useful for inspiration as I’ve some unarmoured cavalry to paint next. BBC selection – nice close ups.